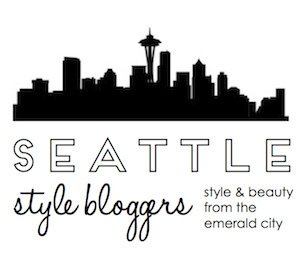 We are so honored to have Dani of Curated Luxe LLC featured on Story of My Dress. And a very special Curated Luxe Giveaway. You won't want to miss this one! Curated Luxe features luxury items that blend glamour, avant garde, and whimsy. Dani loves curating items that make you smile, and indulge you in a bit of decadence. Sounds perfect to us! She seeks out up and coming designers that haven't hit the mainstream, however, the foundation of Curated Luxe is built on three fabulous French couture fashion houses: Chanel, Dior, and Hermes. Hello fabulousness! 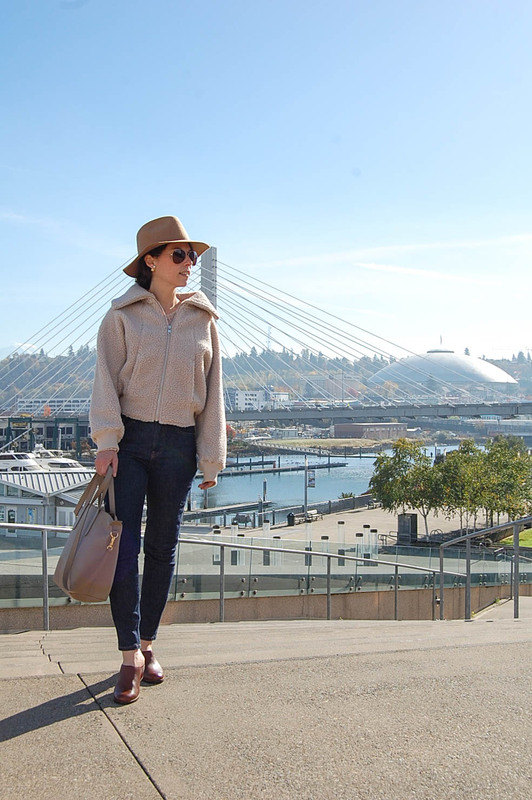 Dani started Curated Luxe on Poshmark in May 2013 to connect with people who shared her sense of fashion, believing "that fashion is about pleasure, decadence, and self expression." 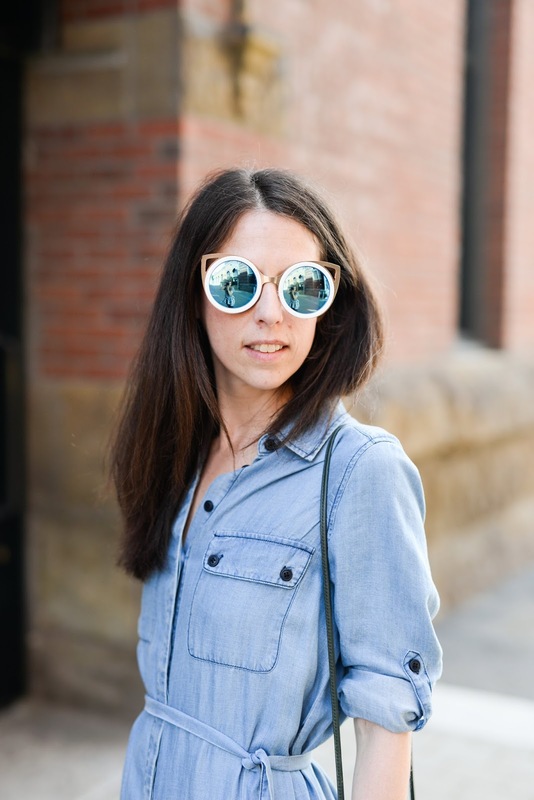 We met Dani through Poshmark and quickly came to just adore Curated Luxe. First off, I'm so excited to be featured by Story of My Dress. Lisa rocks one of my favorite Poshmark closets and a fabulous sense of style. I'm originally from the midwest and live in Washington, DC. In between, I lived in France, New York, Los Angeles, Chicago, Portland, and Thailand. While I enjoyed the luxury of freedom and independence, I love being a wife and mother even more and am happy to be settled in DC with my lovely daughter and husband. What is the story behind Curated Luxe? 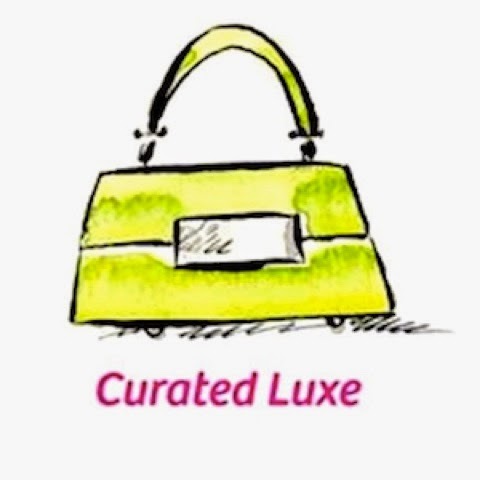 Curated Luxe began on Poshmark in May 2013. In the beginning, I joined Poshmark for two reasons. 1) to make some sales and 2) to connect with other people who shared my love of fashion. I not only did that, I gained confidence in my sense of style and expanded into an official LLC in February of this year. I founded Curated Luxe on the belief that fashion is about pleasure, decadence, and self expression. I spend much of my time scouring consignment shops--brick and motor and online--for luxury items that have some blend of glamour, avant garde, and whimsy; items that I hope will make others smile and indulge in a bit of decadence. I love finding refreshing, talented designers who haven't quite hit the mainstream yet. But I've built the foundation of CL on three French couture fashion houses: Chanel, Dior, and Hermes. 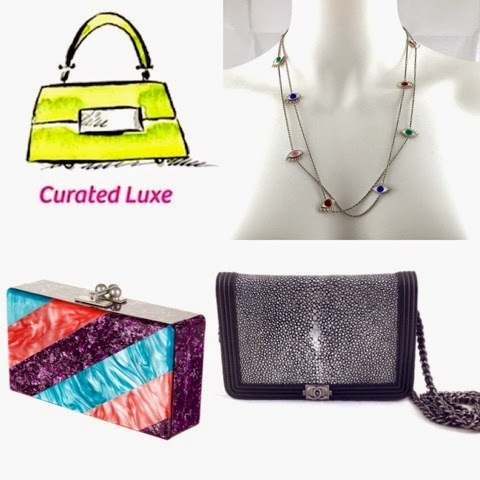 What are a few of your favorite items currently available at Curated Luxe? 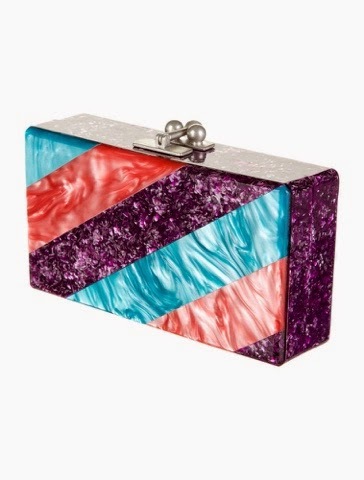 I love Edie Parker and her bright, sparkly clutches. This is one of my favorites! 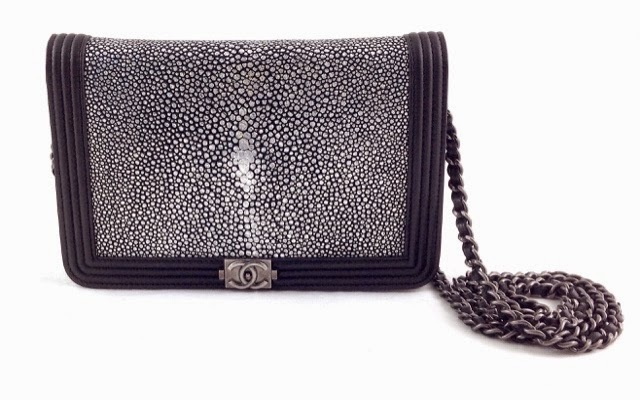 One of my all time favorite bags, and one I'll miss the most when it sells, is this Chanel Stingray Boy Bag Wallet on Chain Crossbody, a modern classic. And finally, I absolutely adore Delfina Delettrez, an Italian jewelry designer. She has found the perfect blend of dada, whimsy, and luxury in her collections. 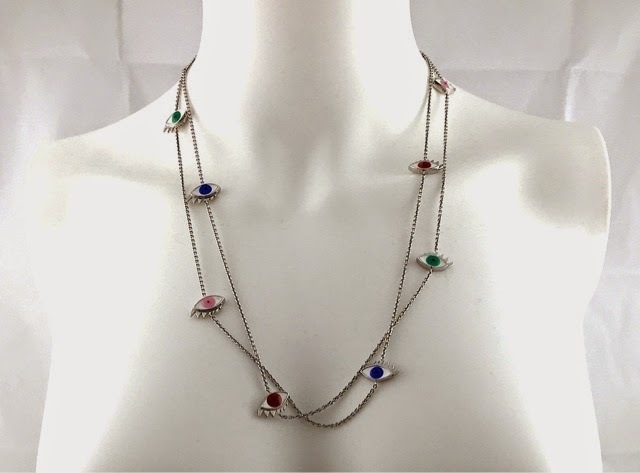 I'm only ready to part with one of her items, it's this cartoon evil eye station necklace. To me, fashion is about pleasure, decadence, and self-expression. I was exposed to some of the more avant garde designers and fell in love with Gautier, Paco Rabanne, and as well as the classics like Chanel while living in France, New York City, and Los Angeles. Now, I’m inspired by Delfina Delettrez, Dior under Raf, Rick Owens, and 3.1 phillip lim. I build my inventory like a curator and hand pick pre-owned and new luxury items to sell to others who revel in unique, timeless, and lust-worthy items that have nothing to do with need but are all about style. 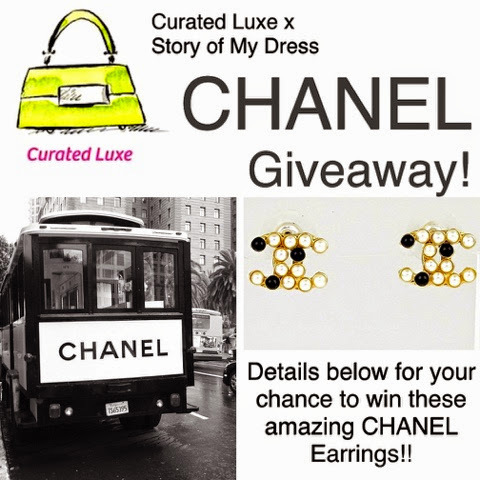 We are so excited that as part of this feature, we are holding a special Curated Luxe x Story of My Dress Giveaway!!! 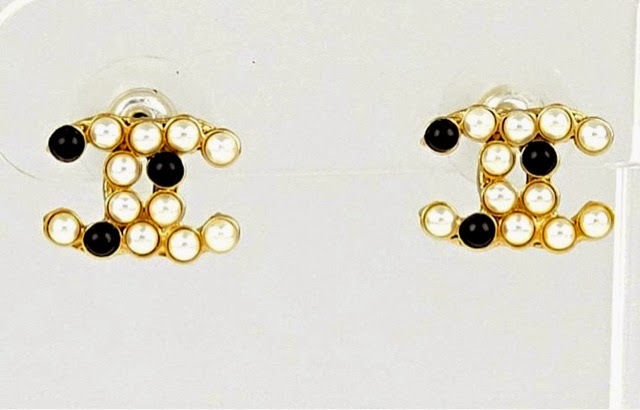 Up for grabs are these gorgeous Chanel Earrings from Curated Luxe (yes, you read that right, CHANEL!!!!!). Thank you to everyone who entered! The WINNER will be announced shortly! Stay Tuned . . .
1. Comment on this Blog Post with who your favorite Fashion Designer is and why. Christian Dior because he knew how to make women feel and look their most beautiful by accentuating their bodies and the attention to detail on his gowns are amazing, beyond most modern couture, even the inside of them were beautiful. My favorite designer is Oscar De La Renta for his timeless gowns . I love Diane Von Furstenberg because her designs are flattering to the female body and she utilizes prints in such a fabulous way. CHANEL for Coco's Rebelliousness & creative genius. A strong women with impeccable taste is always a winner in my book. Alexander McQueen. Need I say more? Skulls, anchors & edge! Love Christopher Bailey's work for Burberry! Robert Rodriguez - sophisticated and elegant! So many designers, so little time (or money?!). ;-) My favorite classic is Chanel, but also love Alexander Wang's edgy (yet simple) aesthetic. Liked both! Tom Ford for epitomizing strong women! My favorite designer is Burberry. I mean who wouldn't want a perfectly tailored trench coat? I myself am drawn to the quilted jackets with a peek of the check pattern when the sleeves are cuffed. Agree that it is so hard to choose!! I love DVF because no matter what number the scale is showing, her dresses always make me feel like a sleek beautiful woman (even if i am a hot mess on the inside!). also, another vote for Chanel as "THE" classic! I've always loved Chanel and Dior, but lately I've been drawn to another wonderful French designer - Isabel Marant! Her amazing knit sweaters and wedge sneakers made me notice her. I love that she does not design evening and places all her focus on everyday, wearable clothes. Her pieces are so accessible! Dani's closet is my absolute favorite closet on Poshmark. Don't get me wrong. There are many closets (and Poshers) that I love but I don't lust over anyone else's closet quite like Curated Luxe. Would love the opportunity to win these gorgeous earrings! Oops! I got so excited about sharing the #PoshLove I almost forgot to say who my favorite designer is. I would have to go with Oscar De La Renta. He just always knew how dress a women's figure right. Not to mention how empowering he was to women in fashion and in general. A true feminist at heart. Chanel because it's Classic, timeless and feminine. It stays modern and only gets better with age. It's epitomizes French and Parisian style - my favorite!! Kara Laricks for her beautiful, androgynous tailoring, cozy but sharp accessories, amazing drive, and inspirational story. Hi. I just left my comments on this blog but I'm not sure it went through. Could someone please confirm?! I've never posted on a blog before. Thank you! Thank you for replying. I really appreciate it. I just reposted my comments. My favorite design group is BCBG MaxAzria. I had undiagnosed health problems and their clothes fit my fuller figure when I wasn't feeling well. It always brightened my day because I love the beauty of fashion and how clothes can make you feel better. May sound silly to some but it helped me during some tough times. Not sure if my original comment posted... Saint Laurent, elegance with an edge. Bob Mackie, because he was able to create the best version of the infamous Green Dress From "Gone With the Wind" on the Carol Burnett Show!! One of my favorite designers is PRADA; founded over 100 years ago in Milan, and is a third generation family business. Originally, the founder Mario didn't want women in the business but it turns out, the second and third generation have been strong, fearless females who have helped to redefine modern elegance. Miuccia founded Miu Miu and between the two brands, she makes some of my favorite shoes and suits. Clean, classic, and a bit of whimsy as well.